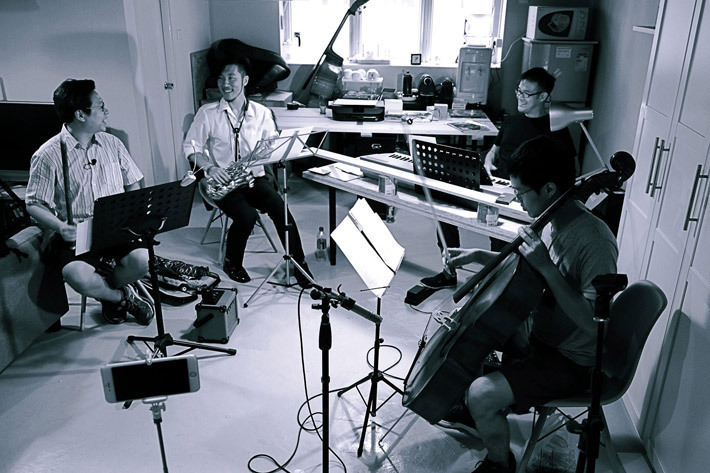 “Sea Island & Ferry” is "neo-chamber ensemble" from Hong Kong and has members coming from diverse musical roots. The group was formed in 2016 when supposed-singersongwriter Arnold Fang (on Piano) gave up on words to tell his stories, and KH Tang (on Xiao), a seasoned player of Chinese traditional music, showed interest in the venture. After a call for more partners, Timothy Wan (on Saxophone) and Tim Tong (on Cello) came on board. 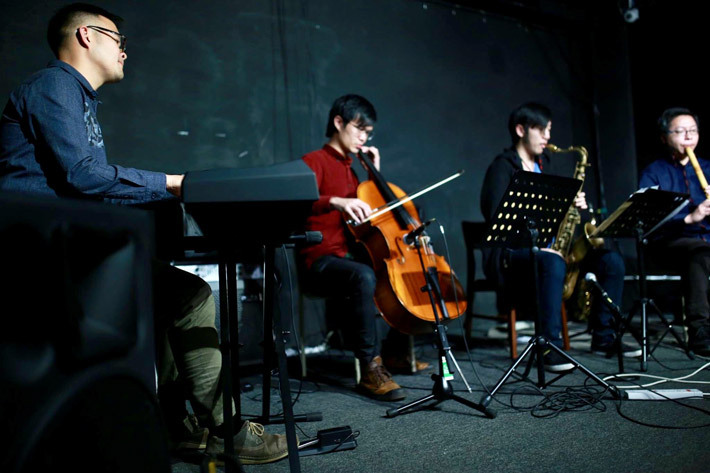 Graduates from music school in recent years, Wan brings with him a jazz background, while Tong worked mostly on western classical music. Featuring both originals and covers on their repertoire, the quartet puts emphasis on improvisational elements as well as breathing space in their music. Appreciation of their music comes at a cost, not because the music is hard to understand. Rather, it requires the audience to step out of temporarily but completely out of their world of noise and cacophony, into a remarkable sailing of sound.